Solar storms don’t always travel in a straight line. But once they start heading in our direction, they can accelerate rapidly, gathering steam for a harder hit on Earth’s magnetic field. So say researchers who have been using data from NASA’s twin STEREO spacecraft to unravel the 3D structure of solar storms. The result was so strange, at first they thought they’d done something wrong. After double- and triple-checking their work on dozens of eruptions, however, the team knew they were onto something. “Our 3D visualizations clearly show that solar storms can be deflected from high solar latitudes and end up hitting planets they might otherwise have missed,” says lead author Jason Byrne, a graduate student at the Trinity Center for High Performance Computing. In medical research, multiscale processing has been used to identify individual nuclei in crowded pictures of cells. In astronomy, it comes in handy for picking galaxies out of a busy star field. Gallagher and colleagues are the first to refine and use it in the realm of solar physics. STEREO-A and STEREO–B are widely separated and can see CMEs from different points of view. This allowed the team to create fully-stereoscopic models of the storm clouds and track them as they billowed away from the sun. The sun’s global magnetic field, which is shaped like a bar magnet, guides the wayward CMEs back toward the sun’s equator. When the clouds reach low latitudes, they get caught up in the solar wind and head out toward the planets—”like a cork bobbing along a river,” says Gallagher. 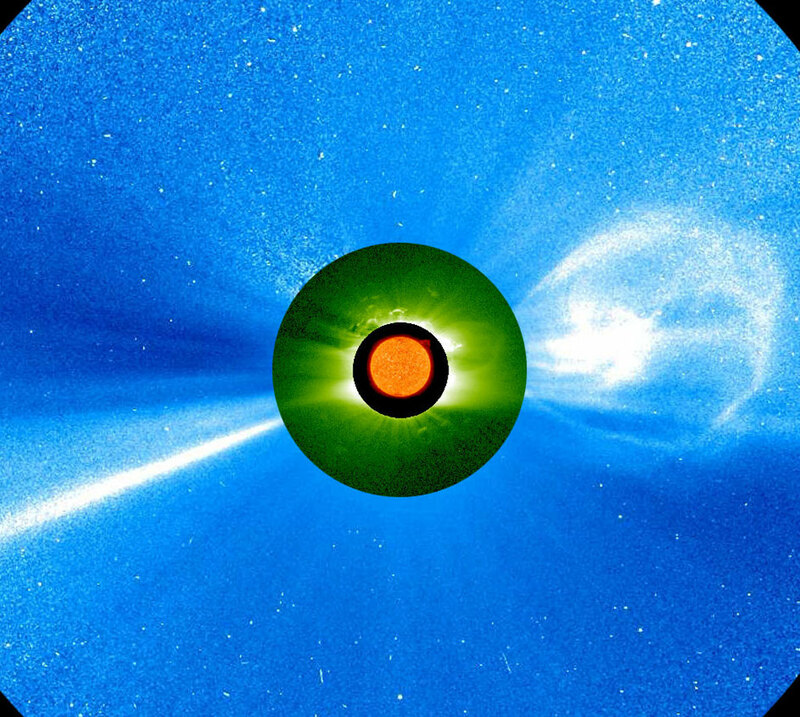 Past studies from other missions had revealed tantalizing hints of this CME-redirection and acceleration process, but STEREO is the first to see it unfold from nearly beginning to end.